This year’s USA Judo Senior National Championships were held in Reno, Nevada on May 3, 2014. Eugene Hamilton was called on to coach a small but dominant White Dragon Team. Marissa Arndt took silver in her category. Adnan Gutic took home his second consecutive Visually Impaired National Championship. 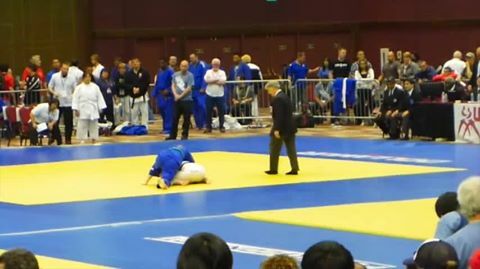 Both judokas qualify for the ISBA Judo World Championships in September. 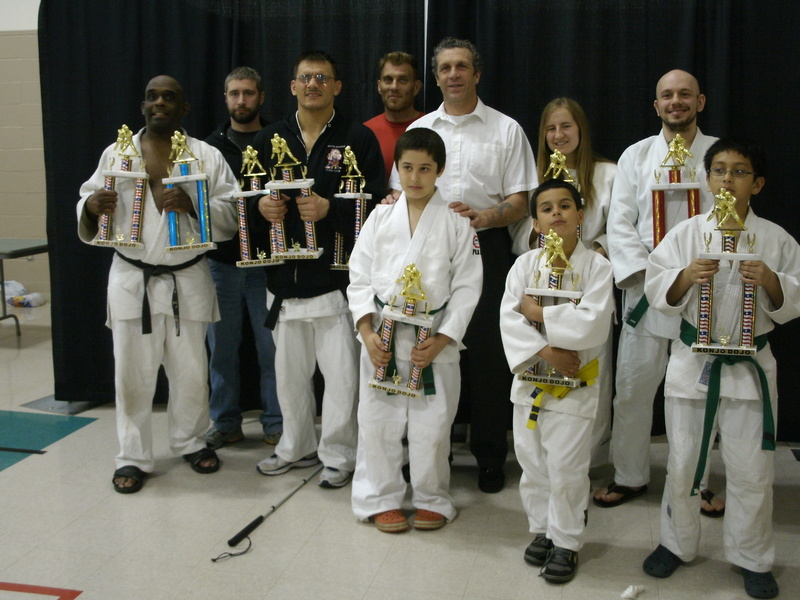 The Osage Center in Cape Girardeau, Missouri was the new venue for the Konjo Judo Championships. The event took place on April 12, 2014. Team White Dragon was led by coaches Dan Dillon and Eugene Hamilton. Derick Wellman assisted with the officiating. In the junior division, Devin Busch fought a talented class of judokas in route to a silver medal finish. Sean Butler went 3-1 on the day and finished 2nd. Issac Valdez de Soto showed signs of improvement in a big way by taking gold in his category. Jay Baker had the throw of the tournament in the senior division. He scored gold. Demonn Smith went 8-2 and took silver in the masters and senior categories. Eugene Hamiltion took bronze in his weight class. 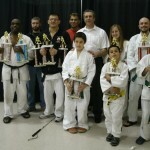 White Dragon’s visually impaired judokas shined most at this tournament. Marissa Ardnt solidified first with an awesome drop seoinage in the gold medal match. Adnan Gutic, US Visually Impaired National Champion, was MVP of the tournament. He scored gold in all 3 of the divisions that he competed in. An awesome performance from Team White Dragon.